I promised this review more than a year ago which means that I have used this machine for around 18 months. In saying that as I have replaced the jar, the lid, the pipes, the reducing couplers and the motor, so it has to be questioned if I am still using the original. Triggers brush from ‘Only Fools ad Horses’ springs to mind. I would first like to make it clear that the product, Brute milker, is a great idea and has made the daily milking of three goats a lot easier. I would happily recommend it to anyone living in the USA. Unfortunately as we live in Europe we have had a number of issues with the customer service when we first purchased the goods and now with the warranty after six months of use. I won’t go into details, but if you intend buying a milker and live outside of the USA then I recommend you use Ebay for the purchase as you will be provided with buyer protection and if you have problems in the future your voice is more likely to be heard. I submitted the review after 6 months of use following the failure of the motor. I was unsuccessful in resolving this problem with the manufacturer who suggested that I send the unit back (to America) and he would fix the problem for me for a fee. So much for the warranty! I also had problems with customs clearance when I first purchased the item which I could have avoided if I had purchased via Ebay. Dansha Farms did not publish my review nor did they contact me further. Undeterred I stripped down the unit and discovered that the motor was commonly available as an aquarium pump motor on Ebay or Amazon for less than £10 with free shipping from China, so problem solved. The machine itself may first appear to be quite complicated, but once you have set it up, mounting the motor to your milking stand, it becomes far easier to operate. It does require a power source, although some units can be purchased with a portable battery pack. Our unit plugs into a standard 240v supply. After initial connection of the cups to teats, which is a skill learned after a few attempts, it’s very straight forward and I soon learned that I could get on with other jobs as the milk flowed into the gallon (4.5 litre) jar. It’s probably best to stay nearby so that you can keep an eye on things, but I spend the time getting food ready for the next goat and collecting hay ready to refill the stable. It should also be noted that the process itself is no quicker than milking by hand, if anything it is slower when you take into account the cleaning of the equipment once finished. However if you have more than three goats to milk it can save the finger cramps that I often experience, or if you suffer from any kind of rheumatism in the hands this machine would be a godsend. As I mentioned cleaning takes an extra 5 minutes at the end of milking and I spend 15 minutes every weekend giving the pipes and fittings a thorough clean. For this reason I have reverted to hand milking as I only have two goats to milk at the moment. So in summery, buy one if your hands ache at all when milking but shop around the internet as Dansha are by no means the only people who sell them. And if you are feeling adventurous then build your own, which I have all but done now since I have replaced almost all the parts. Drop me a message and I will point you toward various parts required and how to assemble should you need a bit of guidance. It all stems from the fact that of the of the 30 odd, close to 40 jobs, I have had in my life I was never a milkman. More specifically whilst in my teens I was never able to get onto the lucrative milk round as the milk runner, backwards and forwards between moving float and doorstep, delivering the daily pints of milk to the population of Skipton. Paperboy, mornings, evenings and Sundays. Holiday barge cleaner on a Saturday. Occasional waiter and washer upper at a local restaurant. A summer season on the fair in Morecombe running the Ghost Train after graduating from Hook a Duck, not to mention spending my free time standing outside a pub on the promenade selling Rubik Cubes In fact by the time I was sixteen I had even stared to work behind the bar at the local Working Mans Club such was the law that allowed 16 years olds to work in private clubs, but I was never a milkman. 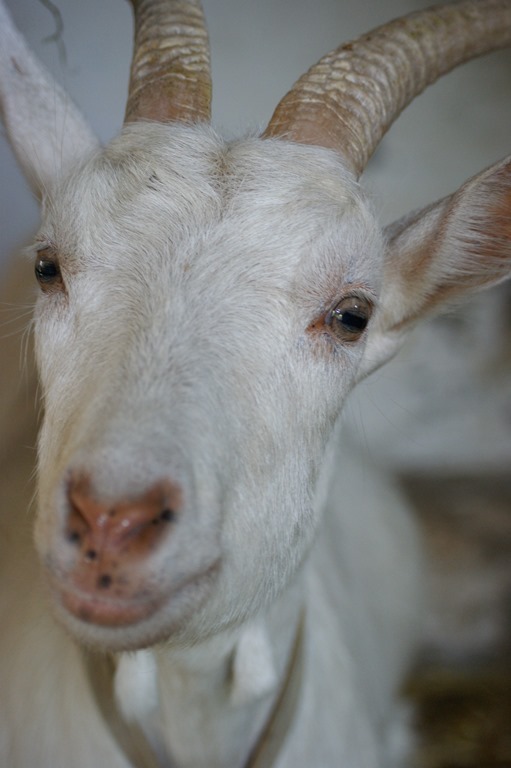 Then it dawned on me as I shivered in –7c (19f), eagerly grasping the bulbus warm teats of Monday, the goat, to stop my fingers from freezing, that I have finally made it. My dream come true, my ambition fulfilled. I am a Milkman!